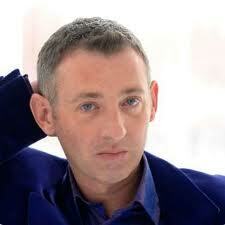 Paul Zenon - I happened to have been working in a TV studio several years ago where Colin Fry was recording. The audience members were guided by numerous young female crew to fill in quite lengthy paperwork which asked for quite a lot of personal detail, and I seem to remember part of it being a disclaimer about talking about their experience to the press. Psychics would develop through the acts of suffering, forbearance and control. It is follow the teachings and all kinds of lessons of their spiritual leaders. The psychics had a strong power and complete control upon the evil spirits. Thanks. Thanks for the comprehensive interview transcript. There's a thin line between real psychic readings and "investigative" mind reading, the latter being done by a lot of professing psychic readers out there. If you have to fill out lengthy forms about your personal life, the results of the psychic readings are indeed questionable. My name is Tony Lewis & nike jersey I'm tour manager & cameraman for Colin Fry, I work mainly with Colin but occasionally mlb jerseys shop work with Derek Acorah.